Our theater is frequently cited as the best venue to see live performances in Atlanta. The state of the art acoustics and comfortable stadium seating will provide a world class experience for your patrons. Our stories come to life on stage at the Balzer Theater at Herren’s, the country’s first to receive a Silver LEED certification. 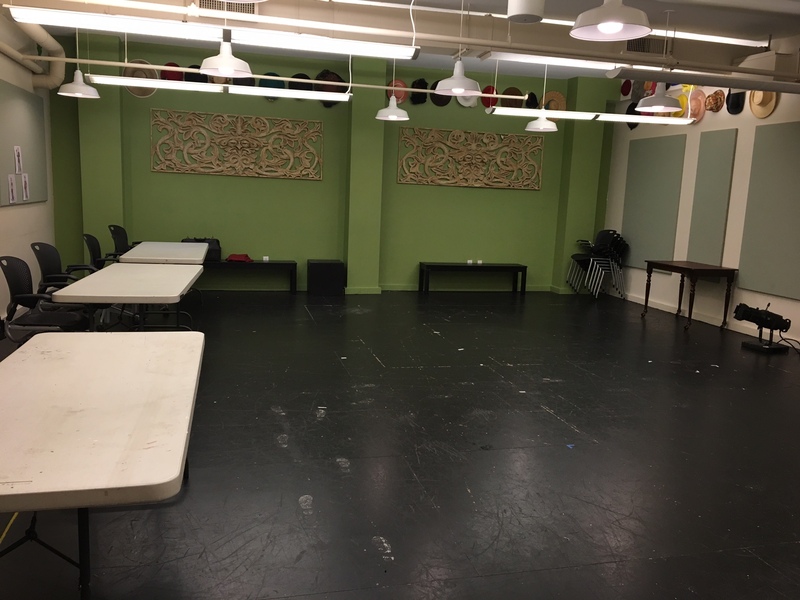 Our theater is ADA-compliant and offers administrative office space, two rehearsal rooms, dressing rooms that meet Actor Equity Association (AEA) standards, a box office and lobby. In 2005, after completing the renovation of our historical building, the Balzer Theater received the Urban Land Institute’s Project of Excellence Award for its adaptive reuse of a historic structure in an urban setting and the implementation of innovative design features. The Balzer Theater at Herren’s is designated as a historical site by the League of Historic American Theatres. Today, Theatrical Outfit serves as a national model for environmentally sound and healthy design and practices. The stage has an approximate 25′ x 50′ of performance space. The house seats 200. Please see links for more details about technical assets and guidelines. The rehearsal hall is 32′ x 25′. Sprung floor. No mirrors.